How One Simple Upgrade Brought In Nearly $200,000 in Only 8 Months! At the end of last year I decided my own interior design website needed an upgrade. It had been several years since I’d done so and it was long overdue. I came across some very powerful research. Apparently, after landing on your website, people decide within 3 seconds whether or not they want to do business with you. Like it or not, your visitors are judging you by your website in just 3 seconds! If you pass the ‘3 second test’ you can increase your inquiries, be seen as an authority in your area and sign more high quality client contracts. But if your website is wrong, your potential customers leave your site with no intention of returning. That’s a lot of income and opportunity lost in a mere 3 seconds! Nearly every prospect that contacted me since the upgrade has become a client. I did not go out on a single appointment that turned into ‘free decorating advice’. There was no hard selling, pushing, discounting or “throwing in” extra services to get the contracts signed. I didn’t waste any of my time with people that were never going to buy from me. Not a single client asked me to reduce my fees or the price of an item. I turned away non-ideal clients. 1. Image is Everything – What do the images on your website look like? Were they taken by a professional or are they dark and grainy from your cell phone? I can’t stress enough how important it is to only use images that have been taken by a professional, with the right lighting, angles, film speed, etc. 2. 1st Impressions DO Count – What does your home page look like? The very first page your readers land on needs to draw them in, to ‘wow’ and compel them to stay on your site and find out more about you. Remember… emotions sell – so focus on creating a site that elicits positive and inspiring emotions. 3. Everything Has a Look and a Style – How long has it been since you’ve updated your website? Everything changes so quickly on the internet, so if it’s been 2 – 3 years, you’re probably about due for an update. Be sure to go with fresh, popular colors and current styles. 4. Make it Easy to Contact You – Some people prefer to communicate via email and some the telephone, or your contact form. You’ll want to provide all the different ways people like to communicate. Your phone number should be prominently displayed on every page. Also, a simple uncomplicated contact page, with a form, can go a long way when it comes to hearing from your visitors. 5. Include a Photo of You – I’m surprised at how often I see this… an about page with no image of the person I want to find out about. People like to see you, know about you, know what you’re all about, what you like and don’t like, etc. They want to ‘connect’ with you before they contact you. Make sure you have a professional (smiling) photo of you on your website and especially on your about page. 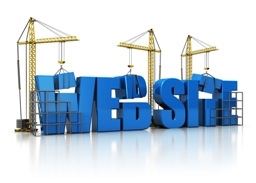 Take a few minutes to review your own website and consider whether any of these areas need to be updated. And if you have any questions, or need help with your website, feel free to get in touch by sending an email or calling 949.342.4564. I’d love to hear from you.